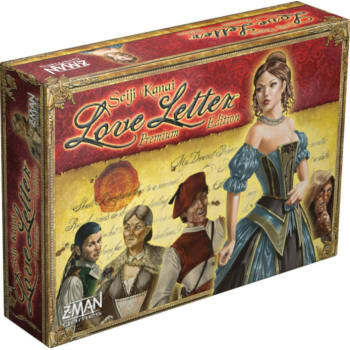 Love Letter Premium takes the familiar Love Letter game and pumps it up in two different ways. 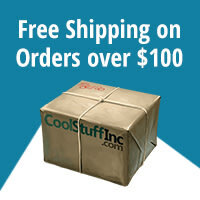 It is presented in a deluxe box with a magnetic clasp featuring a special red velvet tray for storage. Inside you'll find tarot-sized cards and sleeves for both the classic Love Letter card set and an all new extension to the game that enables play for up to 8 players. Special heart-shaped Affection Tokens are also included. Also, the game now plays with up to eight players thanks to the inclusion of an additional set of cards, such as the Assassin (0) which eliminates an opponent if that opponent forces you to reveal it and the Sycophant (4) who must be the target of a played card until it's covered on the next turn. The rules for Love Letter Premium dictate which cards to use depending on the player count.